Nestr.io is designed to help you organise around a clear purpose and make sure you align every action you take with that purpose. But true impact is generally not achieved by one person alone but requires collaboration. Collaboration is at the core of Nestr.io. So try it out and invite your colleagues, family and friends into the workspaces you'd like them to be a part of. 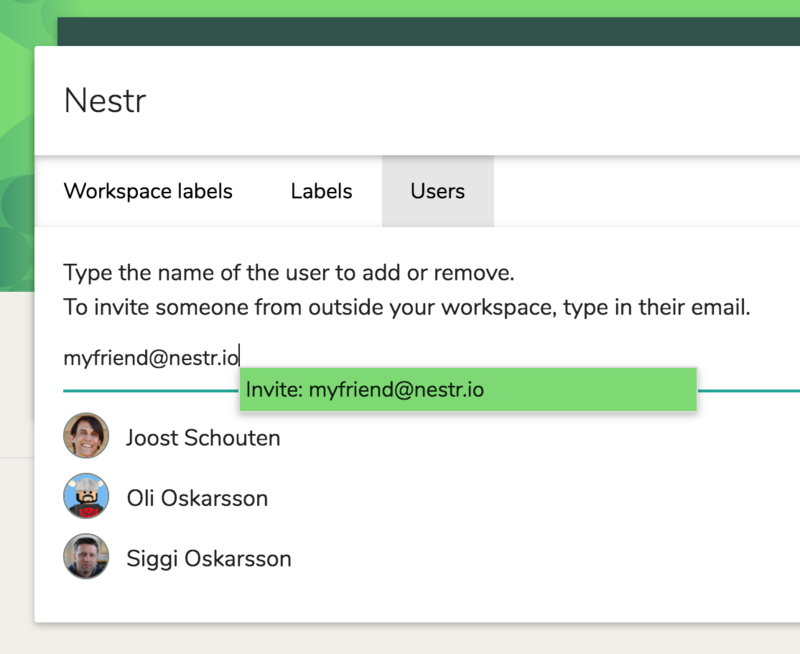 Simply type @name@domain.com (replace name@domain.com with the email of the person you wish to invite) on the workspace to invite them. They will receive an invite from us and you can immediately add them to the relevant roles and work. It's that simple. Another way is to go to the workspace setting (cog icon on the workspace) and click the users tab where you can add users as well. 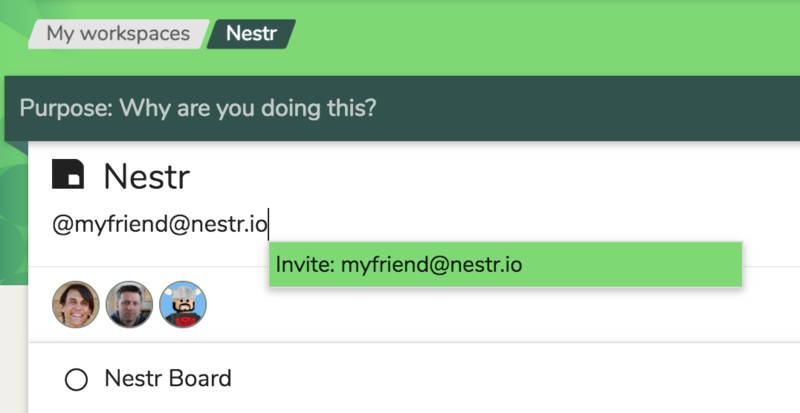 Once available in the workspace you can add uses to any Nest by simply typing @ which will give you a drop down with all available users in the active workspace.